More than a year after Microsoft introduced its revamped, modern-style webmail service, Outlook.com finally—finally!—supports IMAP. The IMAP protocol allows standalone email clients to access messages stored on a remote mail server, meaning any changes you make to your inbox appears on other devices, too; if you mark a message as read on your PC's email client, for example, it shows as read on your phone, too. That's pretty handy in a multi-device world, and IMAP is a veritable email staple of most client software. Outlook.com has relied on Microsoft's own Exchange ActiveSync technology to fill the real-time hole, but some email software (including many Mac programs) simply doesn't support EAS. Outlook.com users relying on EAS-less clients have had to fall back on the inferior POP protocol, which downloads messages to your local machine rather than managing them on Outlook.com's servers. That was lame—but that ended on Thursday, too. Along with IMAP, Microsoft announced immediate support for the OAuth authentication standard, which opens the doors for third-party software to interact with Outlook.com accounts much more deeply. In fact, several third-party services have already unleashed enhanced Outlook.com integration. If you link your account with TripIt, for example, TripIt can automatically detect any travel confirmations and intelligently add them to your itinerary; Unroll.me and OtherInbox offer tools to keep your Outlook.com inbox clean and clutter-free. 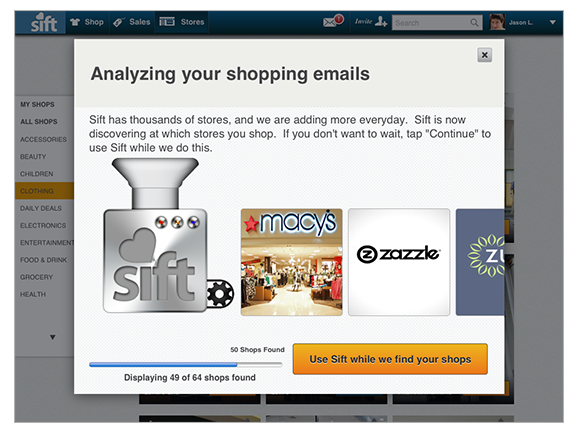 Slice, Sift, motley*bunch, and context.io also rolled out new integration features for Microsoft's mail service. Read all the details here. Outlook.com's IMAP and OAuth support are just the latest features in Microsoft's rapid-fire blitz to claim the webmail crown from arch-rival Google. Over the past several months, the service has added Skype integration, a vastly improved Calendar app, alias sign-ins, and two-factor authentication in a bid to compete with Gmail.